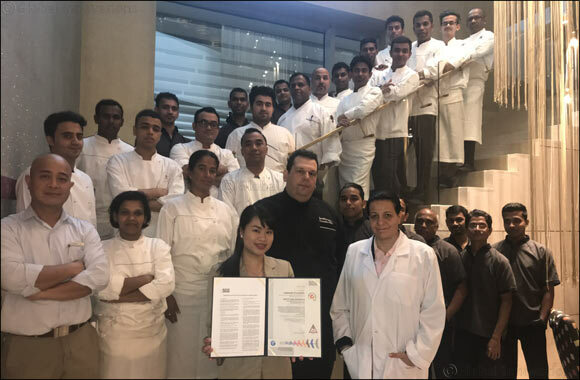 Kuwait, July 23, 2018: Symphony Style Hotel Kuwait, the Jewel of Kuwait City, has been recognized for its commitment to service excellence and exceeding the needs of guests across all areas with a coveted global food safety award. The hotel is proud to announce that it has received the Hazard Analysis and Critical Control Points (HACCP) certification. HACCP, which is approved by the international Global Food Safety Initiative (GFSI) standards, defines the requirements for effective control of food safety and ensures Symphony Style’s commitment to continuously meet the expectations of guests, as well maintaining an impeccable, hygienic environment across all hotel premises. The certification recognizes Symphony Style Hotel Kuwait’s commitment to providing safe, quality food to consumers through the analysis and control of biological, chemical, and physical hazards from raw material production, procurement and handling, to manufacturing, distribution and consumption of the finished product.